How Long Does It Take for a Creditor to Garnish Your Bank Account? If you owe money on a debt, a creditor takes several steps in a process to get back the payment owed. The time it takes for you to worry about money taken from your bank account depends on state laws, the creditor’s decisions and your response to your debt situation. You can try to settle your debt obligations before, during and after creditors seek legal action that includes levies on your financial account. A creditor must first get a court judgment against you for the debts you owe before it takes steps to take money from your bank account. The creditor first makes attempts to collect payment by contacting you over the phone or with mail notices. After a certain period of nonpayment, usually 60 or 90 days, the creditor might turn your account over to a collection agency. You need to contact your creditor and try to negotiate a payment plan or lower settlement amount before the creditor goes to court. The creditor can seek payment of the debt by filing a lawsuit. The court usually rules in favor of the creditor when the evidence shows you owe the money, such as statements and your signed loan agreement. You should appear in court when notified of a lawsuit against you to protect yourself from any inaccuracies in the creditor’s claims. An attorney can help you, and many lawyers offer free consultation on your specific situation. The judge might ask you and the creditor to resolve the issue through a payment arrangement if you can’t pay the full debt because of a financial hardship. Once creditors receive a court judgment, they can legally take more aggressive action, including garnishing wages from your paycheck or putting a levy on your bank account. Garnishment usually refers to your wages and levies refer to your bank account. Federal benefits are exempt from creditors, including student assistance, veterans’ benefits and Social Security benefits, according to the Federal Trade Commission. However, federal benefits can be used to pay debts you owe on federal taxes or student loans. 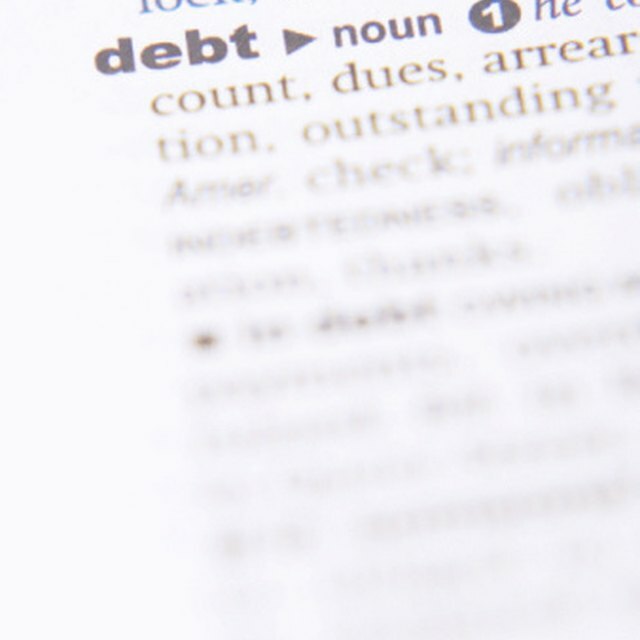 What Is the Statute of Limitation on Debt in Indiana? The creditor still needs a court order to freeze your bank account before it can begin taking money out until the debt is paid in full. The creditor can take what you have in your account and take any future amounts you have until the debt is satisfied. There’s no set time on how long it will take before your bank account becomes frozen. Even if you’re able to move money out of your account, try to reach a settlement with your creditor because a court judgment stays in effect for several years. Nolo: What’s the Difference Between a Garnishment and a Levy?